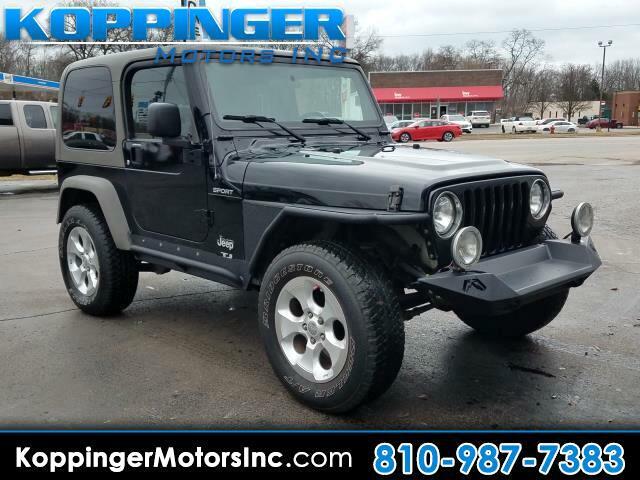 Used 2006 Jeep Wrangler 2dr Sport for Sale in Fort Gratiot MI 48059 Koppinger Motors Inc.
After you get a look at this beautiful 2006 Jeep Wrangler, you'll wonder what took you so long to go check it out! This Wrangler has 84798 miles, and it has plenty more to go with you behind the wheel. It also brings drivers and passengers many levels of convenience with its: 4WD,mp3 audio input and side steps We try to make the purchase process as easy and as hassle-free as possible. Drive it home today.